I was visiting my parents this past weekend. They have some great stuff to paint in the backyard. I felt like a kid in a candy store! 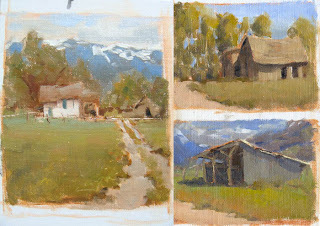 The first one is an 8x10" panel with 4 small studies on it (20-30 minutes each?). I liked the subject on the bottom right enough to try it again the next day, a little larger. 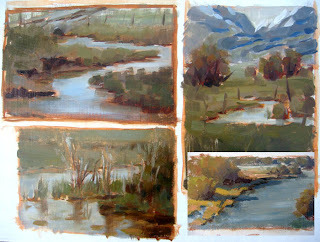 I seem to have this ongoing mental wrestling match regarding whether I want to paint from life or from imagination. Of course the best answer is probably to do both. I feel like I learn and grow more when I'm painting from life. On the other hand, I can stretch my brain and imagination more when I do the conceptual stuff. 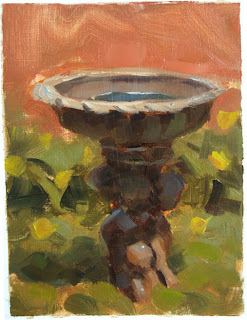 ...from the Christensen workshop! 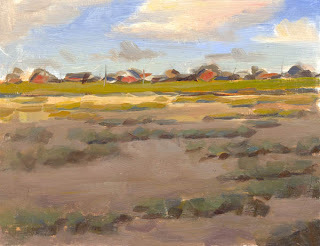 It was perhaps the most beneficial thing I've done as a painter. I didn't want to go home. Scott is an exceptional teacher and person. I recommend this workshop to everyone interested in improving their painting ability (if you want a more detailed description of the workshop, feel free to e-mail me). 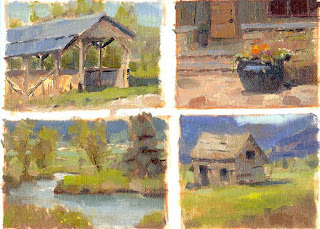 Above are some of the better studies that I did there. They're all small, often squeezing 3 or 4 onto one canvas. Scott is a believer in increasing your knowledge base in order to quickly break down the scene in front of you, and make accurate, fast decisions. 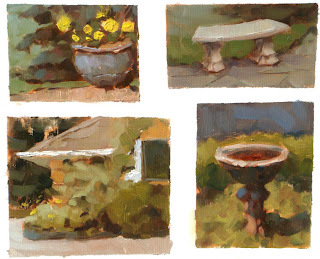 The small sketches are 20-30 minutes each, and the larger ones are closer to one hour. 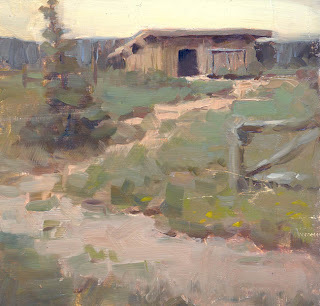 And if you haven't already, you should go check out Scott Christensen's website to see his incredible work. Thanks Scott!